A package of £13.7 million in extra funding for road repairs has been welcomed by highways bosses at North Yorkshire County Council. The announcement that Yorkshire would receive £42 million was made by the Department for Transport on Tuesday, November 12. The headline figure has been divided between 14 council authorities responsible for road maintenance in the region. North Yorkshire County Council has received the largest share of the extra funding, taking nearly three times as much than any other authority in Yorkshire. Councillor Don Mackenzie, North Yorkshire’s Executive Member for Highways, said: “Although we are yet to receive official notification, we are delighted by the public funding announcement from the Department for Transport. 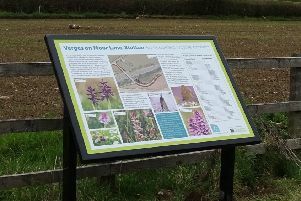 “This will make a significant contribution to repairing the county’s roads on top of the additional £8m the county council has contributed from its own funds in recent years and the £24m for the rural roads network provided through the York and North Yorkshire Local Enterprise Partnership. “Highways maintenance is one of North Yorkshire’s highest priorities and is crucial to keep the county on the move and to support economic growth and prosperity.